Louisiana-Pacific Corp. has called off its $1.1-billion US deal to buy Ainsworth Lumber Co. Ltd. after regulators required significant asset sales, the companies said Wednesday. The companies said they walked away from the agreement after determining that approval under the Hart-Scott-Rodino Antitrust Improvement Act in the U.S. and the Canadian Competition Act could not be obtained “without divestitures significantly beyond those contemplated. “We believe this transaction would have led to positive outcomes for customers, employees and shareholders, and fundamentally disagree with the analysis by antitrust agencies of the competitive dynamics of our industry,” Louisiana-Pacific chief executive Curt Stevens said in a statement. For the second quarter ended April 30, worldwide net sales and revenues of John Deere registered a 9% decline, down to US$ 9.948 billion. Earnings declined in the same period by about four percent to US$ 981 million. …However, John Deere’s construction and forestry sales increased 2 percent for the quarter and 3 percent for six months mainly as a result of higher shipment volumes. 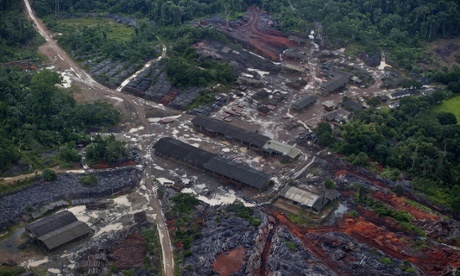 Illegally logged timber in Brazil is being laundered on a massive and growing scale and then sold on to unwitting buyers in the UK, US, Europe and China, Greenpeace claimed on Thursday. After a two-year investigation, the environmental campaign group says it has uncovered evidence of systematic abuse and a flawed monitoring system that contradicts the Brazilian government’s claims to be coping with the problem of deforestation in the Amazon. Finnish exports of softwood lumber and planed products in February 2014 were roughly 8.3% lower than the reference figure for last year at a total of 545,000 m³. Whereas exports to buyers in Europe remained practically unchanged at 245,000 m³, deliveries to buyers outside Europe fell by 14% to roughly 300,000 m³. Within Europe the foreign trade figures show wide variations in development. Exports to the UK, for example, fell by over 18% to 49,000 m³ and those to Germany by 10% to 36,000 m³, whereas growth was registered in deliveries to the Netherlands (+11%), Estonia, (+14%), and France (+2%). National Statistics on UK Wood Production and Trade for 2013 (provisional figures) were released today in accordance with the arrangements approved by the UK Statistics Authority. These statistics were produced by the Forestry Commission, and include data on production, imports and exports of roundwood and wood products for the UK for the calendar years 2009 to 2013. VANCOUVER — British Columbia’s environment minister disputes environmentalists’ claims that a new law threatens the future of provincial parks by allowing oil and gas and logging companies to conduct industrial development. The groups delivered a petition Wednesday to the B.C. government calling for the repeal of the legislation, which was introduced in March. Angus Wong of Vancouver-based Sum of Us hosted the petition. He said it was signed by 166,000 people, suggesting there is a level of anger against the province, which is being accused of selling parks to big companies. Alberta’s decision to sell off habitat that supports two endangered caribou herds for energy development is bad science, bad politics and bad economics, say environmentalists, scientists and opposition politicians. “It is a revealing demonstration of this utter lack of attention to environmental considerations in this province,” NDP member of the legislature Rachel Notley said Wednesday. “It’s always about industry first and then putting out press releases to save the environment second.” Joe Anglin, environment critic for the Opposition Wildrose party, said the sales should be at least delayed. The equivalent of 700 football fields of dry grassland were burnt away in two controlled blazes over the weekend. The fires were set by Alberta Environment and Sustainable Resource Development officers along the Peace River 16 kilometres outside the town of Deadwood or about 50 km north of Peace River on Thursday May 8 and Saturday May 10. “Prescribed fires are planned for many reasons,” said Crystal Owens, Information Officer with Alberta Environment and Sustainable Resource Development. “The primary reason for doing these particular prescribed burns is to help improve ungulate habitat along the river valley. Ungulates are hooved wildlife such as moose, deer, and elk. A case before the Supreme Court of Canada on Thursday could determine the future of resource extraction in much of the country. Grassy Narrows First Nation, in northwestern Ontario, is challenging Ontario’s right to issue logging or mining permits on their treaty lands. Councillor Rudy Turtle said the clear cutting of trees near his home has ruined trap lines and scared away the moose in the area. …The First Nation argued successfully in an Ontario court that their treaty rights to hunt, trap and fish are “subject only to limits placed by the federal government,” as laid out in Treaty 3. The spruce budworm is not expected to arrive in Nova Scotia for three years, but provincial forestry officials say planning is already in the works to mitigate impacts of the pests. The budworms have already made their way through Quebec and into northern New Brunswick. Allan Eddy, Nova Scotia’s associate deputy minister of natural resources, said the last federal budget included $18 million for forestry and forest innovation, the bulk of which is being focused on the budworm. The Society of American Foresters (SAF) has hired Matthew E. Menashes as its new Chief Executive Officer. Menashes, who will begin his new role on June 2, will succeed SAF’s previous executive, Michael T. Goergen, who left SAF in September 2013. As Chief Executive Officer, Menashes will work in partnership with the SAF Council and SAF staff to strengthen the organization and develop new strategies that add value and promote customer service and communication for SAF’s membership. 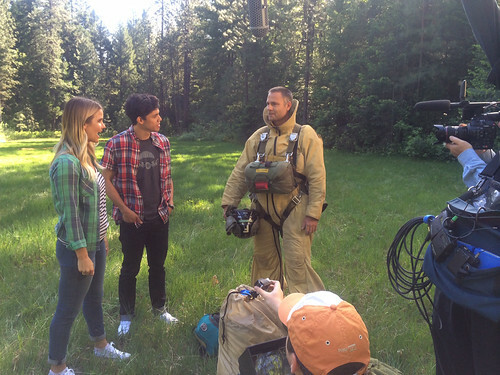 The U.S. Forest Service and movies-goers have seen agency-managed lands as the backdrop for dozens of motion pictures over the years, but this year it is participating in the magic of Hollywood in a slightly different way – as a creative consultant for the soon-to-be-released “Planes: Fire and Rescue.” Two film crews from Disney Studios descended on the agency’s Redding Smokejumper Base in northern California the first week of May. They were there to interview and take video footage of the Forest Service’s firefighters in advance of the movie’s release in July. A proposed forest restoration project in the U.S. Forest Service’s Idaho Idaho City Ranger District is expected to have an effect on popular state-run yurts in the area and also the trail systems around the yurts. The Becker Restoration Project will result in the closure of access roads to Stargaze and Skyline yurts during the summer, resulting a long, steep walk in from Idaho 21. Normally, in the summer months, yurt users can drive to within a few-minutes walk to the yurts. Jim Neiman, vice president and CEO of Neiman Enterprises, received a citizenship award from the Colorado/Wyoming Society of American foresters. He was recognized for his role in implementing the Sustainable Forest Initiative, ensuring all products from Neiman Enterprises facilities are sustainably grown with third party certification. He also used his role as the chairman of the University of Wyoming’s Board of Trustees to promote forestry programs, according to a press release from society of American foresters. As we get ready for the resumption of the fire season this weekend in the Flagstaff region, it is sobering to think just how much work lies ahead to restore northern Arizona forests to health — even after the rains return. This was brought home by a recent forum on the Four Forests Restoration Initiative and the future of the forest organized by the Museum of Northern Arizona. Although 4FRI is now up and running after a false start last year, the forum brought home the hurdles it must still clear before being declared a success. As we reported last week, one challenge is the need to contract with private industrial partners for thinning at a landscape level. Wildfires roared out of control in Southern California, forcing authorities in San Diego county on Wednesday to order thousands of people to abandon their homes, including students at a state university, though no major injuries were reported. Television images showed several homes in flames, with thick black smoke filling the sky and drifting over the Pacific Ocean, as California entered the height of wildfire season in the midst of one of the state’s worst droughts on record. In the more than 60 years I have been on the North Fork, I have been involved in a lot of planning efforts. These involved six years on the Flathead Basin Commission, 20 years on the Montana Governors Team negotiating with British Columbia, the Flathead County Planning Board, the North Fork group that started the Interlocal, and then the North Fork Land-Use Advisory Committee, which guided the Flathead County Commissioners from no planning to adopting a North Fork plan. Hey everybody! Go up to Ninemile and see what the Forest Service has done with your tax money. …I drove up Sunday, and even after all that rain last week and Sunday morning’s snow, there were still underground stumps burning. It looks even more damaged than last year’s burn! An entire draw is burnt out. Is this forest management? These burns are not really necessary. Except for the trees the Forest Service cut that would have been mature in 40 more years, the area was not filled with much deadwood. A logging firm has been found guilty of one health and safety charge after a worker broke his arm and leg when he was hit by a one-tonne log. Harvestpro defended the charge in Gisborne District Court over the incident in which a cable-logger was struck by a harvested log during a hauling operation at Whakaangiangi Forest, Te Araroa on September 17, 2012. The worker, Tau Henare, was in hospital for about two weeks with a broken arm and leg.hospitalised for about two weeks following the accident. 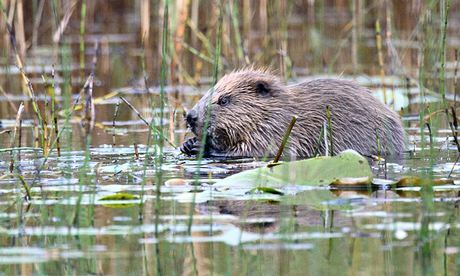 The reintroduction of beavers to the wild in Scotland for the first time in 400 years has been an “outstanding success”, according to the team of ecologists that brought them back. The four pairs of beavers reintroduced in Knapdale five years ago have produced 14 young, engineered 18-metre-long dams and lodges the size of double garages and significantly boosted tourism. Monitoring of the UK’s first ever licenced mammal reintroduction programme finishes at the end of May, after five years evaluating the impact of the species on the local environment and the potential to attract tourism. A Senate inquiry has called on the Federal Government to drop a bid to reduce Tasmania’s World Heritage Area. 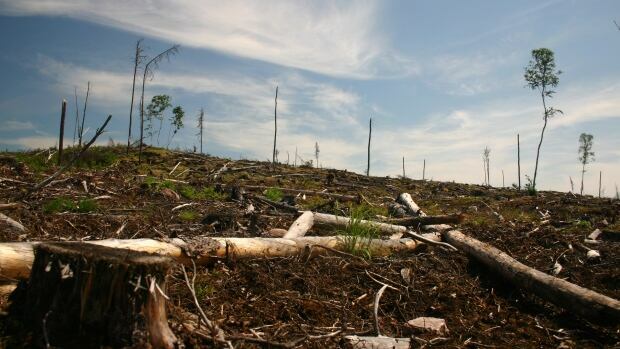 The Federal Government wants to delist 74,000 hectares, claiming they have been degraded from past logging and should be opened up to forestry. Last year, 172,000 hectares was added to the WHA under Tasmania’s forest peace deal. But the Coalition said the boundary extension had been rushed through and was therefore invalid. The Labor-Greens dominated Senate Committee examining the Government’s delisting bid has handed down a damning report. The Government is ignoring a Senate committee’s recommendation to revoke its request to delist 74,000 hectares of forest from Tasmania’s world heritage area. The request has gone to the world heritage committee and deals with forest that was protected under the so called forest peace deal. 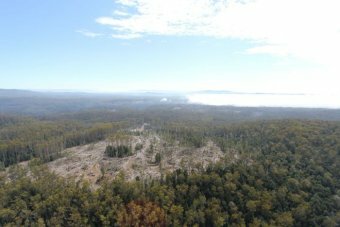 Some timber workers hope the forest will be delisted so they can access the wood but environmentalists are warning they will protest. Talis Kalnars was a pioneer of ‘continuous cover’ forestry in Britain, writes Phil Morgan. His woodlands were not only beautiful but profitable, as he nurtured the ‘natural capital’ of the forest ecosystem, and only harvested the dividend of high value timber. …alis was one of Britain’s most experienced and successful ‘Continuous Cover’ foresters, following a career as an independent forester in mid-Wales that started in 1959 with a close-knit circle of private and corporate clients. A group of researchers at Humboldt State University recently received a $5.88 million grant to research a better way to use a charcoal-like residue created when slash from timber harvesting is burned. The grant – the largest donation of its kind – is part of the Biomass Research and Development Initiative, which supports renewable energy in rural areas and is a collaboration between the Department of Energy and the U.S. Department of Agriculture. HSU forestry professor and team leader Han-Sup Han said the team’s research topic is not necessarily a new idea.